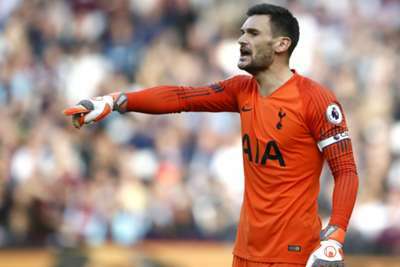 Mauricio Pochettino championed Tottenham goalkeeper Hugo Lloris as one of the best in the world after he made a string of important saves in Saturday's 1-0 win at West Ham. Spurs claimed the slender victory thanks to Erik Lamela's neat first-half header, but in the second period West Ham certainly had chances to equalise. Marko Arnautovic was particularly prominent, but on three occasions Lloris produced a smart save to thwart the Austria international. The Frenchman has been criticised for errors on and off the field in recent months, but Pochettino was left with no doubt about his ability at the London Stadium. "In the first half we played very well and we deserved to score two or more goals," Pochettino told BBC Sport. "The second half it was so competitive. West Ham pushed the lines and tried to score, creating chances. "Hugo was unbelievable, outstanding. He's one of the best keepers in the world, and when you need him he's always [saying] 'I am here'." West Ham midfielder Declan Rice also acknowledged Lloris' efforts. He added: "I thought it was a tight game and it was a sloppy goal to concede from a cross. "Marko Arnautovic kept trying, but Hugo Lloris is a top keeper and Arnie was unlucky." All times are adjusted to your mobile phone's timezone.